Although Africa is its point of origin, the so-called "King Tut Gene" is found among widely dispersed populations of males. Studies reveal that about 60% of British men are classified in haplogroup R1b (Y-DNA). Biblical persons with this genetic ancestry include Noah, Abraham, and David. Haplogroup R1b, also known as haplogroup R-M343, is the most frequently occurring Y chromosome haplogroup in Western Europe, parts of Russia (especially the Bashkir minority), Central Asia (e.g. Turkmenistan) and in the region of Lake Chad and along the Nile. This is the Haplogroup of Abraham's Proto-Saharan ancestors who dispersed widely and are known my many different names in ancient history: Kushites, Kushan, Ainu, Saka, Hittites, etc. Among them was a caste of priests known in ancient texts as 'Apiru, Hapiru, Habiru or Hebrew. Tutankhamun became king in 1333 BC and ruled until is death at a young age in 1342. The exact cause of young Tutankhamun's death is not known. He suffered from malaria and necrosis, but otherwise he appeared to be fairly healthy. Apparently, he was lame and walked with a cane. More than 100 canes were found in his tomb. Tutankhamun's cartouche shows the temple of On (Heliopolis) and bears the word shema which in Hebrew means "hear." The Creator Re is referred to as the "God of Manifestations." On was one of the most prestigious shrine cities of the ancient world. The pyramids at Giza, Abusir, and Saqqara were aligned to the obelisk at Heliopolis. 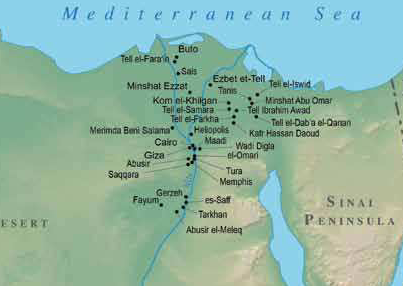 Giza, Abusir and Saqqara are shown on the map south of Cairo. Heliopolis (biblical On) is shown to the north. As was typical of the Kushite-Egyptian marriage and ascendancy pattern, King Tut's parents were half-siblings. This was true also of Abraham and Moses. Sarah was Abraham's half-sister and Moses' Kushite wife was his half-sister. At his ascent to the throne, Tut married his half-sister Ankhesenpaaten. Had he lived, he would have taken a second wife at a later age. She would have been a patrilineal cousin or niece. Debate about the origins of the Egyptian ruler Tutankhamun (and the genetic stock of up to 70% of British men) was stirred recently by an unscientific claim made by iGENEA, a Swiss personal genomics company. iGENEA claims to have reconstructed a DNA profile for King Tut by watching the Discovery Channel, based on what they say are genetic markers that appeared on a computer screen during the Discovery Channel's program. The company claims that the results suggest more than half of Western European men are related to Tutankhamun. The focus was on the Y-chromosome haplogroup R1b. 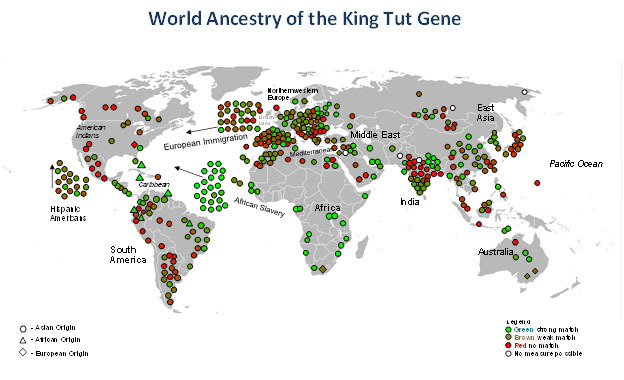 Researchers in Egypt who compared Tut's genome say that iGENEA's claim is "unscientific." The Discovery Channel's coverage was equally speculative. So we have speculation upon speculation. However, biblical anthropology can shed light on this dispute. Haplogroup R1b is the most frequently occurring Y-chromosome haplogroup in western Europe, especially Spain and France, parts of Central Asia and in sub-Saharan Central Africa, especially around Chad and the Benue Trough, the region of origin of the Kushites' ancestors. The Y-chromosome traces genetic ancestry through the males, but it does not give the full picture without also tracing the mitochondrial DNA (mtDNA), which traces decent through the females. In reproduction, the nuclear DNA of one parent mixes with the nuclear DNA of the other. MtDNA, on the other hand, almost always passes unaltered from mother to offspring. Recent studies show that paternal mtDNA can on rare occasions enter an egg during fertilization and alter the maternal mtDNA through recombination. The Discovery Channel report of the research in Egypt never took into account the complex marriage and ascendancy pattern of the Kushite rulers which involves descent through the wives. It is believed that King Tut was the grandson of Amenhotep III and the son of Akhenaten the Younger who was named by Amenhotep's cousin wife after her father. This means that Akhenaten the Younger ascended to the throne of his maternal grandfather, after whom he was named. This is typical of the Kushite marriage and ascendancy pattern which involves the ruler's two wives: one a patrilineal half-sister and the other a cousin or niece, often from the mother's side. If Tut were the firstborn son of Akhenaten by his half-sister wife, Tut would have been the heir to Akhenaten's throne. His Y-chromosome would be identical to his father and his mother. His mtDNA would likely match his mother's, but not necessarily his father's. If Tut were the firstborn of Akhenaten's cousin or niece wife, he would have been the heir to the throne of his maternal grandfather. His Y-chromosome would be the same as his father and grandfather, but his mtDNA might be different than his father's. A more interesting study would involve comparing mitochrondrial samples of King Tut and Mystery Mummy of Tomb KV55 near Luxor (Upper Nile). Likely the mtDNA is identical, but what if it is not exactly alike? By looking at the similarities and differences of the mtDNA of Amenhotep III, Mystery Mummy, and Tut researchers could possibly trace two distinct maternal lines. This is what would be expected from the marriage and ascendancy pattern of the Kushite rulers. They were the first to unite the kingdoms of the Upper and Lower Nile; the first to wear the double crown. In an inscription at Karnak, Amenhotep III, a Kushite kingdom builder, was described as "... the good shepherd, vigilant for all people, whom the maker thereof has placed under his authority." Amenhotep III ruled in the Eighteenth Dynasty between about 1382 and 1350 B.C. (about 630 years after Abraham). He ruled over a kingdom that stretched from Nubia to Libya, Gaza and Syria. It was during the 18th dynasty that the title 'King's Son of Kush' was first used. The 42-foot tall statue shown above was excavated in Thebes (near Luxor) on the west bank of the Nile. So what did the DNA study reported by Discovery Channel prove? It proved that Amenhotep III and the Mystery Mummy in Tomb 55 located on the Upper Nile had a common male ancestor; not surprising since intermarriage between patrilineal lines was a characteristic of the Kushite rulers. It does not prove that the Mystery Mummy was King Tut's father, Akhenaten. In fact, the identity of the "deified" ruler's father was usually kept secret. The suggestion that the ruler was miraculously conceived was part of the ruler's mystique. Kushite and Egyptian rulers did not name their biological fathers in their king lists. 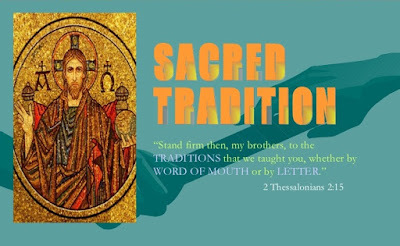 This is because they believed that the ruler-priest was the son of Re whose emblem was the sun. The Pharaoh was called "son of Re" which is why Egyptian texts never mention an earthly father of the king. Kingship was rather a manifestation of the solar deity's overshadowing of noble women. Sargon the Great (biblical Nimrod) claimed not to know his father. He based his authority to rule on the suggestion that he was conceived according to the royal myth of miraculous virgin conception. Amenhotep II was connected to the House of Sheba. 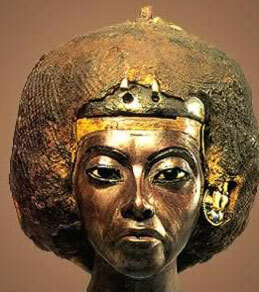 Amenhotep II's mother was Queen Merytre-Hatshebsut. Her name means Pure Love-Sign of Sheba of the South. She bore the title "Lady of Two Lands" which means that she ruled after the Kushites had united the kindgoms of the Upper and Lower Nile. She is called a "Nubian" queen, but Nubia is not an ethnicity. It means "Land of Gold. She was likely a princess of the House of Sheba. Archaeologists have linked Sheba to settlements in East African and in Yemen. It is likely that Queen Merytre-Hatshebsut selected a wife for her son Amenhotep II from among her people. We see this pattern associated with noble Egyptian mothers in Genesis 21:21 where we are told that Hagar found an Egyptian wife for her son Ishmael. R1 peoples moved in many directions along the complex water ways of 100,00 to 20,000 years ago. By 18,000 years ago there was a distinction between R1a and R1b. Peoples in the R1b haplogroup moved across the Levant and Mesopotamia, going into the Iberian Peninsula, ancient Gaul and as far as Central Asia. They populated Anatolia and moved as far north as the Tarum Valley in China. These were a pyramid building people who mummified their rulers. They are called "Kushan" and are related to the Nilotic Kushites and the Nilotic Ainu (Annum). The Ainu spread into Hokkaido and Okinawa and into the Hudson Bay area of Canada. 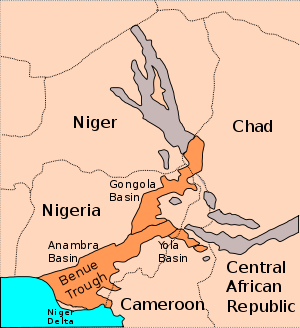 The R1a group spread along the Shari and Benue rivers, establishing kingdoms and chieftains in Nigeria, Cameroon, Niger, Ghana and into the southern Kordafan. Linguistic and archaeological evidence supports this picture of dispersion from the Upper Nile region and it connective waters in west central Africa. 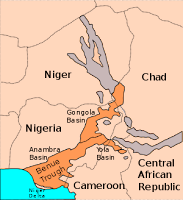 Noah lived in the region of Lake Chad (Bor'No mean "Land of Noah") and his ancestors Cain and Seth (whose royal lines intermarried). Kushite ruler-priests spread their culture and religious beliefs by the great water systems across what I've termed the ancient "Afro-Asiatic Dominion." 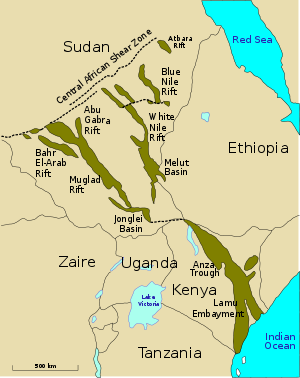 During various humid periods the Nile, the Saharan lakes and the Benue Trough were much larger, allowing for connections between the Atlantic and the Red Sea. In ancient inscriptions from Africa and Eurasia these Nilotic kingdom builders were called Kushite and sometimes Ethiopian (from the Greek word for black). In Sumerian inscriptions they were called Meluha-Kasi, a designation for peoples who lived in the area of Nubia, Arabia and the Lower Nile. "The Babylonian designation for Arabia is 'Magan and Meluha' and the two expressions are used distinctively, the one (Magan) to denote the eastern and southern part - that situated nearest to Babylonia, the other (Meluha) to denote the N. and W. The district of Sinai would thus form part of Meluha." (From here.) So there is textual evidence from antiquity linking Abraham to the Kushites and their early ancestors who lived around Lake Chad and in the Benue Trough.